The New Mr.and Mrs Seadog – 1989.
as she walked down the aisle. Now here we are 25 years later, still in love. 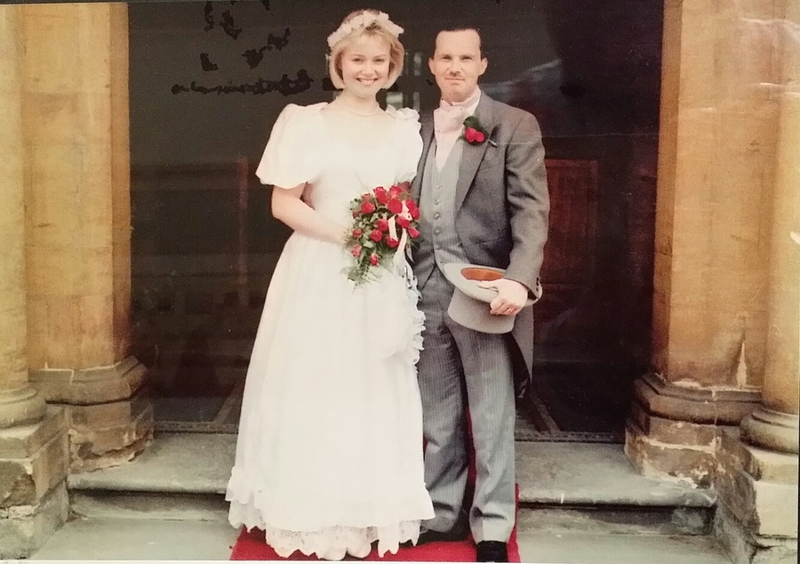 This entry was posted in Family, Life and living and tagged 25 years, commitment, everlasting, forever loving, love, marriage, silver anniversary. Bookmark the permalink. Happy 25th Anniversary. What a wonderful thing to celebrate. I wish you the best for next the 25 years. Happy Silver wedding anniversary to you both …… hope you’re both fighting fit …. without the fighting bit of course ..